Is My Website Affected by Negative SEO? Continuing on the topic of the negative SEO I started a couple of weeks ago. It’s been a couple of busy weeks as we started to offer a new service, the negative SEO remediation. 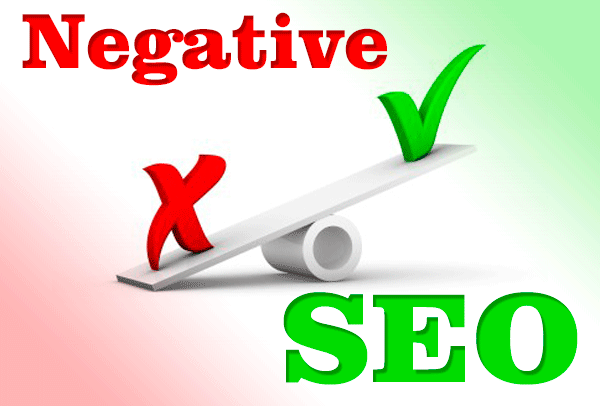 It’s obvious now that the negative SEO has arrived and is not going anywhere for a while. So you as a website owner have a couple of choices, (a) get used to it and wait till Google comes up with the fix (b) do something about it. I don’t think the solution (a) is acceptable for anybody as the effect of negative SEO is to downgrade the reputation of your website which subsequently leads to the downgrade of the ranking. Even if your website seems to be doing fine in terms of the ranking eventually you will start seeing results of the negative SEO as traffic slow down and ranking degradation. Then it will take much more effort to address the effect of it. My recommendation is don’t put it on hold and instead proactively remediate the negative SEO. Here is what you can do to proactively monitor the negative SEO with Google’s rudimentary tools. Well … we have not had these tools a year ago and despite my extensive unhappiness with Google’s effort on improving the remediation tools, I am glad there is a set of tools which may help you to keep the negative SEO at bay. First we need to find what links have been created to our website. This can be done within Google Webmaster Tools utilizing the Download latest links feature (see picture below). After downloading the file in the CSV or Google docs format you should be able to review links Google discovered for your side. My recommendation is to place it into the Google docs format and then work with the Google spreadsheet file to verify all links. Yes, you heard me correctly, you will need to be prepared to review all links Google discovered for your site going back perhaps many years. – usually the domains used to host negative SEO links have no PageRank. Well, you have enough information to review your website for negative SEO links. Good luck in researching it. Please keep on coming back for more information on the Negative SEO Remediation process. Next time I am planning to discuss what to do next after you discovered the negative SEO links. Pingback: Local SEO Jacksonville Company Has Your Website Been Affected by Negative SEO?